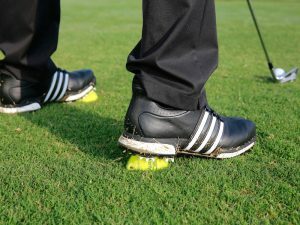 Whether you are an amateur or professional, if you play the game, you’ll have your favourite practice golf drills. 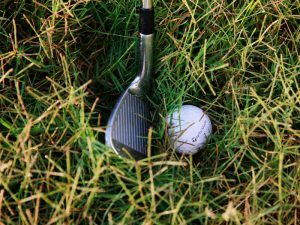 These are the actions you rely on to get your game ready for the round ahead. 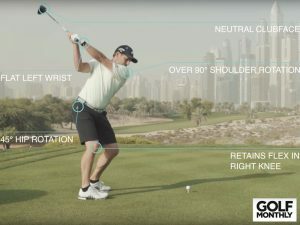 We spent a day on the range at the Abu Dhabi Golf Championships to find out what works for the best players in the world. 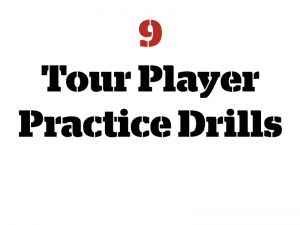 Here are 9 tour player practice golf drills to whet the appetite! 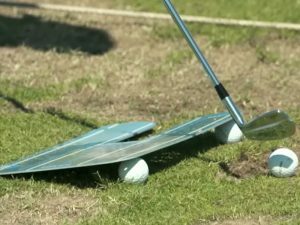 The Englishman sets up a simple t-bar system to check his alignment and ball position. 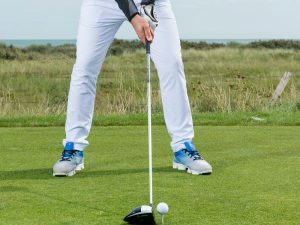 Coaches often say that faults in the golf swing can usually be traced back to problems at the address – this is how Poulter keeps his in check. 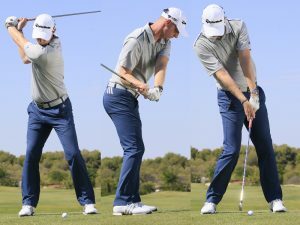 The South African uses a two ball takeaway drill. He pushes a second ball directly away from his target ball. If the second ball rolls away on a straight line he knows his swing has started on the right path. This drill also helps establish a good rhythm. Like Ian Poulter, Jordan Spieth knows the value in checking the basics at address. 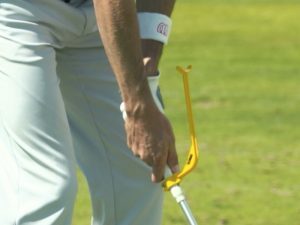 He places an alignment stick down throughout his practice routine. 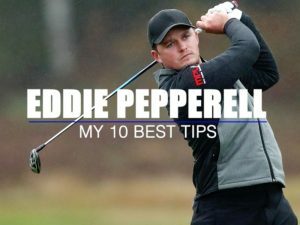 He also checks his takeaway before each ball he hits – this is part of his pre-shot routine that crucially is honed on the range. Working alongside coach Peter Cowen, the American uses a foot back drill. 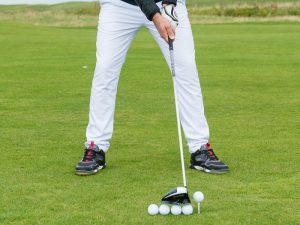 By moving his left foot back at address (and keeping the heel off the ground), he is helping his body to rotate through the ball. In Peter’s case, the drill also prevents him from ‘standing up’ through impact. The young Swede checks his ball position before every drive he hits. 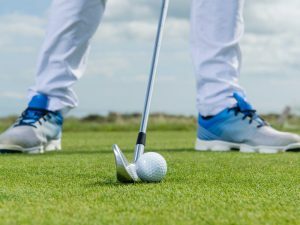 By lining his driver up with the head of the club on the ground and the ball, he can see how precisely the ball position is set. The devil is in the detail! 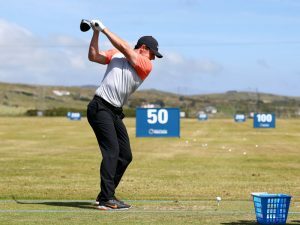 Before hitting a single shot on the range, the Englishman runs through a series of swing checks. Monitoring his swing plane as well as how centred he is through impact, Wilson is looking to instil good moves right at the start. 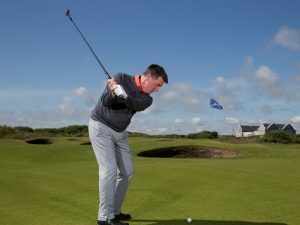 Danny uses a very deliberate pre-shot backswing check. 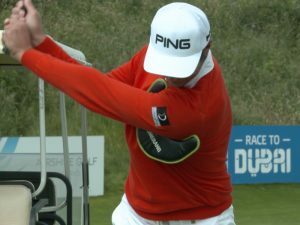 He does this to ensure the arm plane and clubhead are both in a good position at the top of the backswing. The veteran South African, you will notice, always continues to move as prepares to hit. This prevents tension creeping into his set up and results in his trademark rhythm! He also uses an alignment stick to check his aim but this also helps him check his divot pattern. The Northern Irishman didn’t use any practice golf drills while we followed him. Just a few balls to warm up was enough… He was the highest placed finisher of the players in this video…! !